Hasbro has sent through official images of the items revealed during their NYCC 2018 panel! 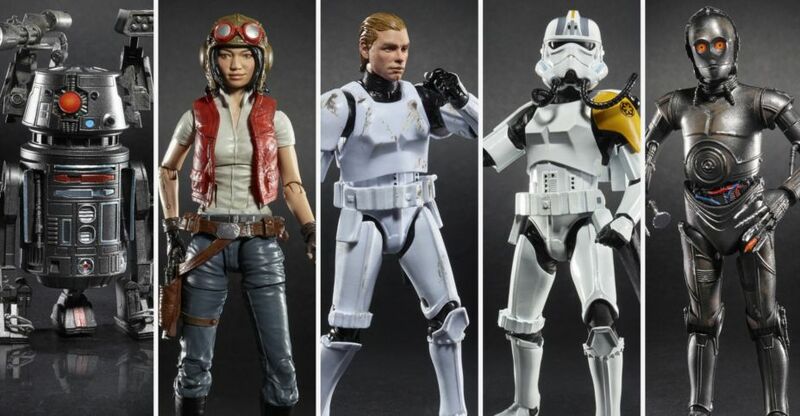 Included are new Black Series figures for Dr. Aphra, Droids 000 and BT-1, Luke Skywalker in Stormtrooper Disguise (wet hair, new head), and a Rocket Trooper. Vintage Collection gets Crait Luke and the Assault Tank Commander. Read on to check all the pics and details! All times are GMT -4. The time now is 2:50 AM.